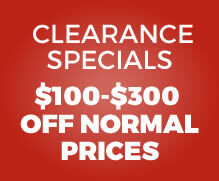 Clearance includes new, unopened, factory-sealed products that are either discontinued, overstock, or end of stock. They come with the original manufacturer's warranty.In-store clearance products are new, unopened products. Open-Box products are returned by customers, served as store display models, or were opened for inspection due to package damage. Open box and showroom items are tested to function properly, but may have slight cosmetic damages. 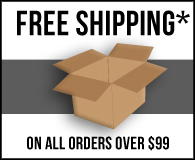 Call us at 1-866-928-3150 for product availability or specific warranty and return policy questions. *All sales on open box, showroom, and clearance items are final.